My koumbaro (fancy Greek term for “ecclesiastical relative,” in this case, my daughter’s godfather) is visiting with us here for a few days, and this afternoon, he and I visited my favorite local coffeehouse to get a little caffeination and chat in. While we were there, we talked a bit with the proprietor, as well as with a fellow who stopped in and was distributing posters and pamphlets for a new church in Emmaus. People are becoming more open to religious experiences that might otherwise be new to them. Some of the church-growth-marketing types have probably researched, identified and targeted Emmaus as a potential growth area. No doubt most of the targeting folks are probably looking into introducing Emmaus religion to the mega-church and/or “postmodern”/”emerging” types of religious practice. Orthodoxy has a major leg up on these types, mainly because it’s built for staying power. While the mega-churches and their spin-off ilk are often intriguing and exciting to people, they have no real roots to, well, root people. They are inherently non-local sorts of phenomena, connecting people mainly to an ephemeral sort of spirituality that interests but fails to transform. Folks may “have an experience,” but even the statistics produced by these kinds of groups show that those experiences usually are not enough to keep people in the congregation for more than a few years. Indeed, one demographic report that made its rounds in the Evangelical mega-church world admitted that the people most likely to be discontented in their churches were those who were regarded by those churches’ standards as the most spiritually advanced and mature in the congregation. 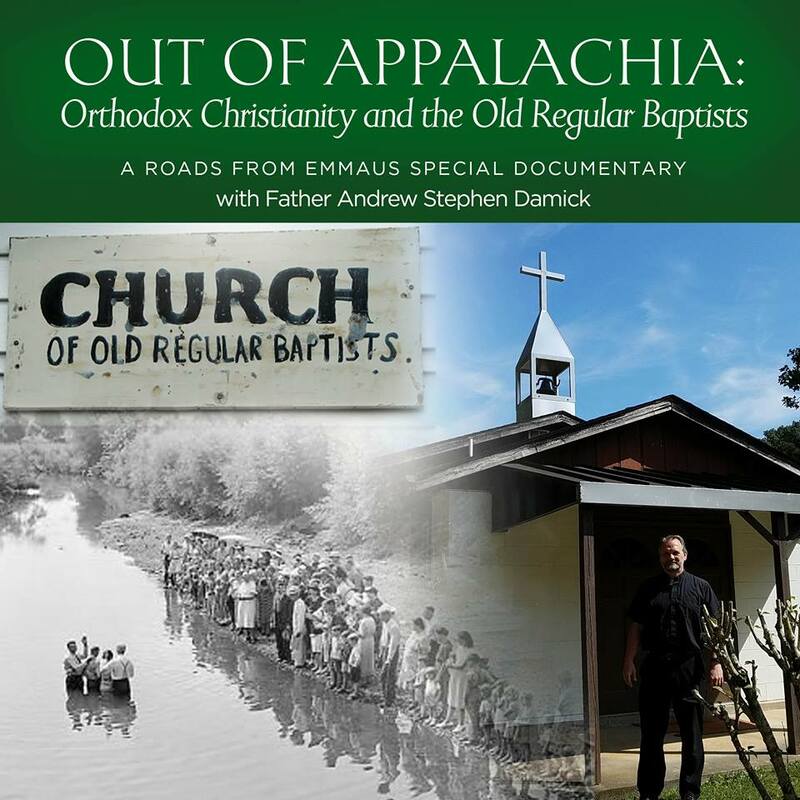 The upshot to all this is that there is likely a high potential in Emmaus for introducing people to Orthodoxy. On the one hand, it is something probably “new” and “exotic” to them—this is by no means a good reason to choose or stay in a faith (because the newness wears off), but it may well be enough to get people to give the introduction a chance. On the other hand, we offer something that these other groups by their very nature lack—an ancient tradition, deeply informed and comprehending of human nature, which is capable of powerful and lasting transformation. Orthodoxy is also the very stuff of true civilization, because it is built for staying power. Orthodoxy builds and transforms people and whole cultures, not target markets. We’re looking forward to raising the parish’s level of engagement here in Emmaus. A number of ideas are in the process of being implemented. The first will be something simple: hosting a booth at the 250th anniversary celebration of our borough. Another possibility might be a “theology on tap” series of events, where local religious leaders publicly talk about the differences between their faiths. Whatever we end up doing, our hope is that we’re soon going to inaugurate a new period of real outreach and witness in our home. This is Christianity like most of these folks have never seen before, something they’ve never heard of, and it’s just down the street. Like the saying goes: We’re not Jewish, but we are Orthodox. We’re not Roman, but we are Catholic. We’re not Protestant, but the Bible came from us. We’re not Denominational [or Non-Denominational, I might add], we’re Pre-Denominational. I see I get to be the first to leave a comment on this one. So sorry that I found you a while later than when you Posted this Father. I want to let you know that I found you through Ancient Faith Radio. I am what I like to refer to as an Church inbetweenie. Like yourself I hail from an Evangelical upbringing. More specifically I hail from the Fundi-NonDenom category. Raised by a man who came out of Roman Catholicism and married to my wife who was raised by nomial turned fervent Catholics (my wife encountered Christ at the age of 15… not a Catholic). I began reading the Early Church Fathers almost three years ago to prove for myself that the faith of the Early Church would support my own perspective and squelch the Roman Catholic point of view. I was brought up on anti-catholic books that I had decided were clearly biased… so in I jumped for a journey I didn’t know I was going to take. I have a had little contact with Orthodox, so the primary input I have had has been from Roman Catholics. And I have read their perspective alongside of the Fathers. I was also prepared to become Catholic, but through a series of events that was delayed. My wife played into the decision to hold off as well. I am thankful for that, as I have more thoroughly started hearing out the Orthodox arguments. Which have struck me as far greater in clarity, and actually ring true with the shape of my own Faith as it has grown by reading the writings of the patristic age. Among other things, I have been listening to your fine podcasts! Of which I just made note of on my own blog. Sorry for the ramble on this post com box… my sincere prayer is that you would indeed see growth in your area. May Christ bless you and your flock. You will be upheld in prayer from a fellow in Lancaster PA… not too far from you! Again, thank you for allowing me to ramble and also for those excellent podcasts. I am moving on to the Radical Reformation portion next. Just as a note, there is an excellent Orthodox parish not too far from you! What is the difference in Liturgy from a Greek to Antiochian parish? I have heard that a Greek parish varies with how much Greek to English is part of the Liturgy. Is that true? Also, I have heard it said that the Antiochian Liturgy will not be very foreign to someone who is familiar with the Western Tridentine rite… is that also a true statement? Thank you for your kindness. I have passed on your excellent series on Orthodoxy and Heterodoxy… That talk alone seriously made me consider Orthodoxy above all. After almost 3 years of studying the Fathers (only a surface scratching as they are vast as you know) I am eager to find a place of rest for my family in a Church that I can with confidence be in communion with. The difference in the liturgy between Greek and Antiochian parishes is slight. The biggest difference is probably in the language, though it depends on which parish you visit. There are Greek parishes that use all Greek, some that use all English, and everything in between. In the US, the same is true of Antiochian parishes regarding Arabic and English, though there is a much more significant use of English in Antiochian parishes (it is actually fairly rare to hear anything but English in most American Antiochian parishes). With regard to the similarity between the Antiochian liturgy (which is essentially the Byzantine liturgy) and the Tridentine mass, it’s really pretty slight. If you were to visit an Antiochian Western Rite parish (of which there are only a handful), then of course that liturgy is almost identical to the Tridentine. Thank you Again Fr. Andrew! I ended up reading the structure of the Antiochian Rite through that Parish site you sent me to. I found it very interesting, and yes, There bears many similarities to the Tridentine Rite of the West. So, I have become increasingly excited about what I am finding as the Orthodox position… WOW! I pray so! But sometimes this Weis man’s path is full of potholes. I am thankful for His help to guide me, and pick me up out of the ditches. The above discussion about the Latin Mass and the Antiochian Liturgy sparked a couple of questions for me. I hope I have articulated them correctly. How close is the Antiochian Orthodoxy Liturgy to the Eastern Catholic Byzantine Liturgy? Or is this a potentially dumb question? I am assuming the two are very similar, and someone familiar with the Byzantine Catholic Liturgy would easily recognize the Antiochian one? Whereas, if they were only familiar with the Roman Mass they would be essentially “lost” at Divine Liturgy on any given Sunday morning. But if they were Byzantine Catholics they would not feel so out of place. Is this correct? Also, are there differences between the Antiochian Liturgy and the Liturgy that I might experience in a Russian Orthodox Church or even a Russian-leaning OCA church? I realize the Liturgy is the Liturgy, but is the chant different between the two branches of Orthodoxy or are any of the traditions? Christ is risen! Indeed, He is risen! May God bless you always. The Antiochian Orthodox liturgy is quite close to Byzantine Catholic liturgical practice, particularly if you are referring to the Melkite Greek Catholics, who are historically a schism from the Antiochian Orthodox Church. There is definitely a great variety in the music between Orthodox churches. Generally, the churches in the formerly Byzantine lands (e.g., Greek, Antiochian, Serbian, Romanian) use Byzantine Chant, while the more “northerly” Orthodox have largely adopted choral types of singing. The differences between the liturgical practice other than music itself are certainly there, but they are minor, and most people I talk to couldn’t identify them.